Some parts of history we must never forget, no matter how upsetting they may be. The Holocaust is one of those parts of history. 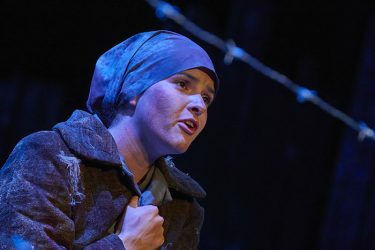 Starting Friday night for two weekends, director Claude Pensis, Dean of the College of Fine Arts and Production, and a remarkable cast of student actresses will bring French Resistance fighter Charlotte Delbo’s moving account of the Holocaust to Grand Canyon University‘s Ethington Theatre. It will showcase the unimaginable stories of more than 20 women and their time in Auschwitz. 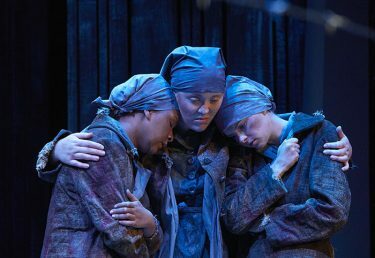 “Who Will Carry the Word?” is based on writer Charlotte Delbo’s memoirs of her time at Auschwitz. Weeks of preparation allowed for the cast to be submerged into history to have a better understanding of the Holocaust for their roles. “The process was long and arduous,” Pensis said about the preparation for the play material. Dr. Sherman Elliott, Dean of the College of Humanities and Social Sciences, gave the cast a history lesson about the Holocaust and the events that led up to it, followed by a chance for theatre students to hear from a Holocaust survivor herself, 93-year-old Magda Herzberger. Pensis praised his cast members for their dedication to properly convey such a sensitive topic, acknowledging the students’ efforts to approach the concept thoroughly and carefully. 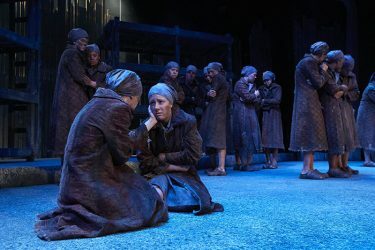 Moyer said of the play, “It’s incredibly difficult but incredibly rewarding” because it gives them the opportunity to make sure the stories and words of the Holocaust remain. The stage is surrounded by a real barbed-wire fence to give the illusion of watching the characters from the other side of a real fence at Auschwitz. There will be no music, but audio, such as gunshots firing and blaring horns, will be used to help paint a picture of what the characters are experiencing off stage. It also will showcase a talented female cast and the bonds their characters face in times of true terror. 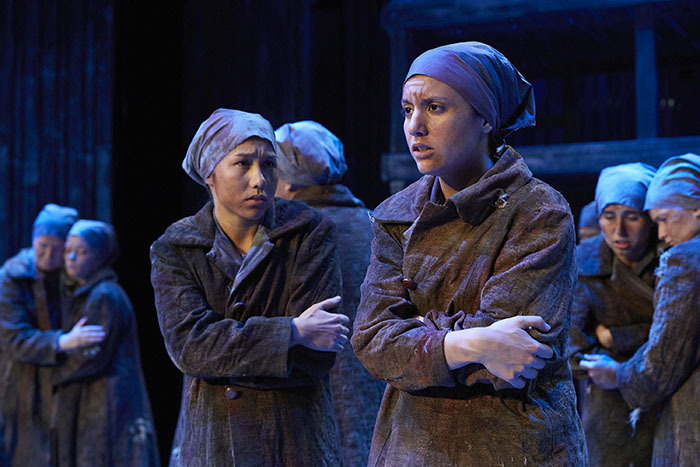 The cast and crew hope the play can bring more awareness to the individual stories within those camps and remind the audiences of the real-life tragedies that happened all those years ago and why it is so important they never happen again. This isn’t the first time Pensis has brought the poetic words of Delbo to Ethington Theatre, since the play was performed around 20 years ago. The cast prepared for the play by immersing themselves in the time period of the Holocaust, including visiting with Holocaust survivor Magda Herzberger. “We haven’t done anything like this in a long time, and it’s just very important,” said Christine Ward, who is portraying Denise. The melancholy story provided an opportunity for the cast to stray away from the cheerier productions theatre has to offer and immerse themselves in a story that would test them and expose them to one of the most tragic parts of our history. The moving play will leave the audience with knowledge and insight that can’t be taught in textbooks. It’s a story that may be difficult to listen to, but it’s one that should never be forgotten. Tickets: $12 admission. Discounted tickets for senior citizens, military personnel, GCU and GCE employees, GCU alumni, children 12 years old and younger, and GCU students. Etc. : Guest speakers Amnon and Avshalom Weinstein will give a presentation about the Violins of Hope, a collection of instruments played by musicians of the Holocaust, immediately following the Feb. 16 performance of the play at the theatre. The Weinsteins and the Violins of Hope also will be on campus the day before, from 2-3:30 p.m. Feb. 15, at Ethington Theatre. Contact GCU staff writer Ashlee Larrison at ashlee.larrison@gcu.edu or at 602-639-8488.